BikesEtc makes the perfect gift for the cycling obsessive in your life. 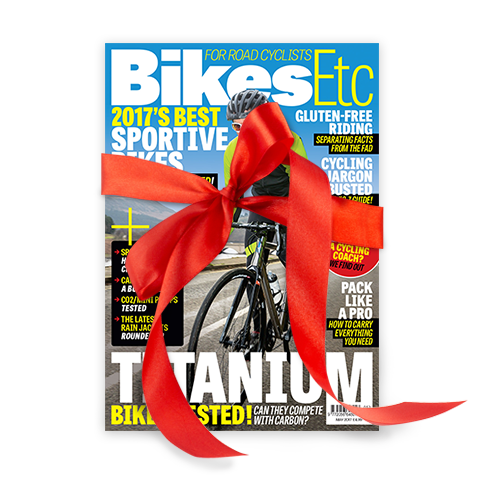 Packed with epic rides, pro training and fitness advice, kit reviews and the latest bikes, BikesEtc is a must have for the avid road cyclist. Giving BikesEtc couldn't be easier. In just a couple of clicks you can arrange for 6 or 12 months of issues to be delivered to your friend's door, all at a decent saving on the shop price.